The Dacorum Charity Shield was this year won by Tring Bowls Club. The Shield was presented to the President of the Club Joe Kempster by John Bates from the main Sponsors SWS Instalations. A cheque was also presented to The Club Captain Gill Hooper for £650 which will be divided between Rennie Grove and The Keech Hospice. 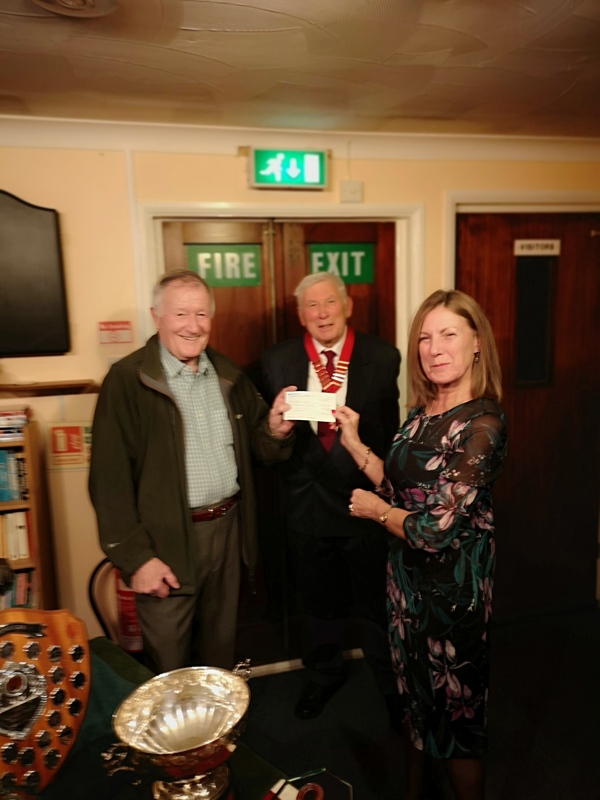 The Dacorum Charity Shield is played for by 7 Bowls Club from the Dacorum Area and is sponsored by the clubs , SWR Instalations and the Dacorum Sports Network.